Why haven't there been more blockbuster trades? For starters, the outlook of the salary cap is still scaring teams away from adding big contracts. Secondly, many teams are already turning their attention to July 1st to see if they can get the guy they want without giving up assets in a trade. Third, teams are constrained by their expansion draft plans; as in, if we add Player X, can we protect them over Player Y? On the other side, the threat of offer sheets will force some teams to move key RFAs ahead of July 1st. Don't forget, teams can start talking to pending RFAs this Tuesday. - The Kings are very keen to add a top 4 defensemen and some more scoring punch in free agency. It's believed they're shopping depth forwards Dwight King, Kyle Clifford and Jordan Nolan in an attempt to free up a bit of cap space. 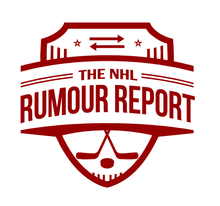 - The lack of trade buzz around Marc-Andre Fleury has a lot to do with the looming expansion draft. Not many teams can acquire Fleury who A. don't have a clear number one already and B. also don't have a young up-and-comer they want to protect from draft exposure. Nevermind the three years remaining on his contract. If a team is adding Fleury this summer, they're getting him cheap.